Heidi returned with the grandkids on Wednesday after having flown up the Friday before. Tatyanna and I picked Casper up at Heidi's house in San Francisco Thursday evening after dinner at Google. 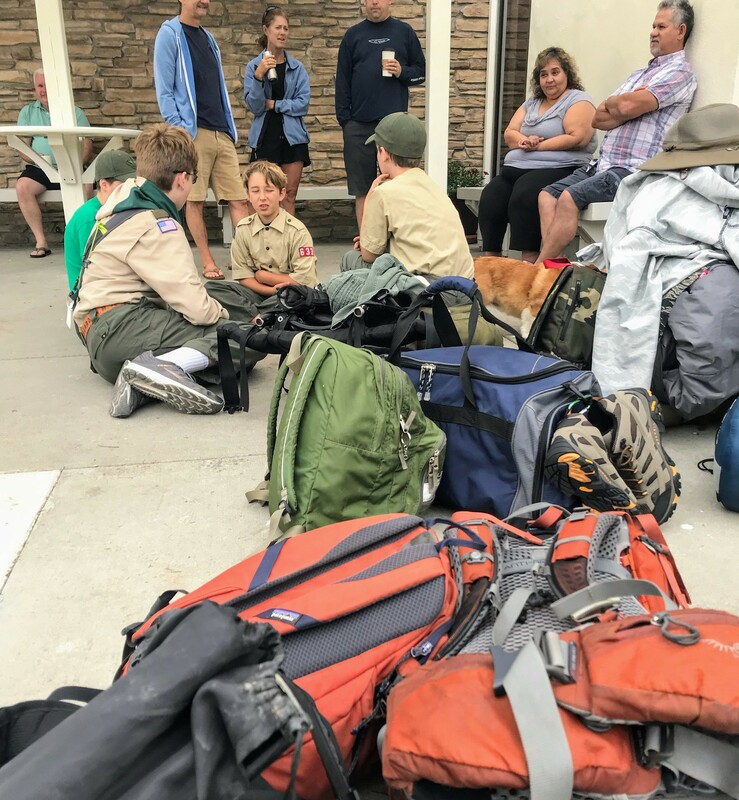 Two days after Casper's return from Montana, we dropped him off at Troop #633 on Saturday morning at 8:30 to head out to Camp Chawanakee. Casper was a bit nervous since this was his first Scouting camp and he didn't know the other troop members very well. A scout is always prepared (and ready to go). 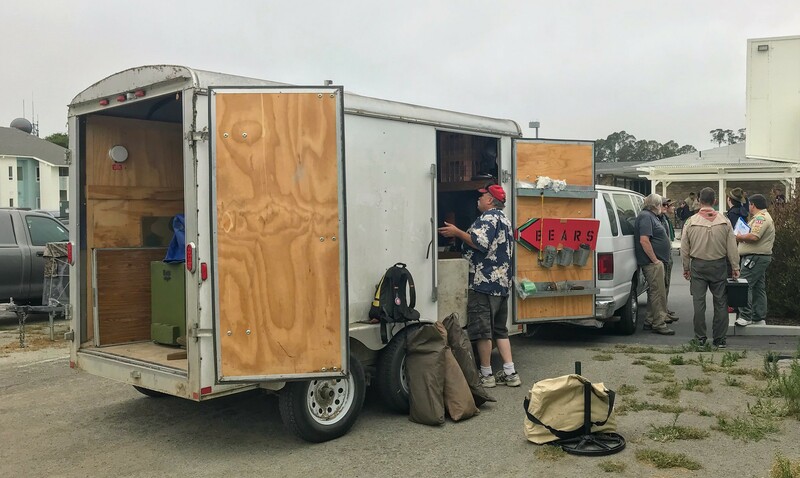 The troop's trailer with group equipment and room for the boys' backpacks. 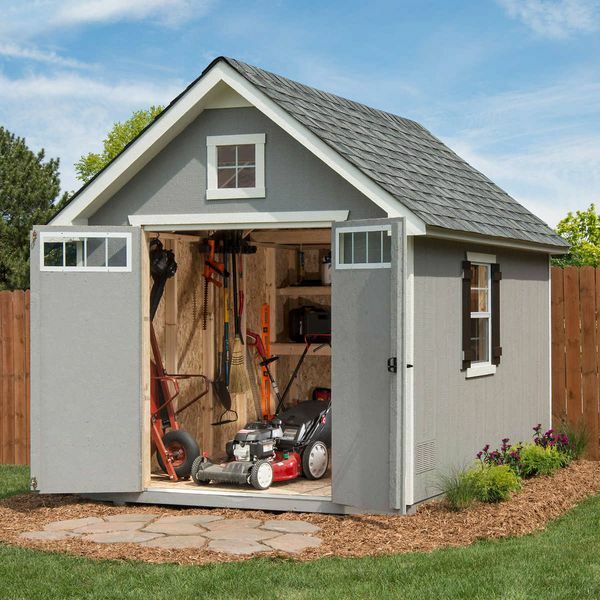 Camp Chawanakee was founded on Shaver Lake in 1946 by a grant from the federal government, the Civilian Conservation Corps and Southern California Edison Power Company. The first year of operation was 1947. 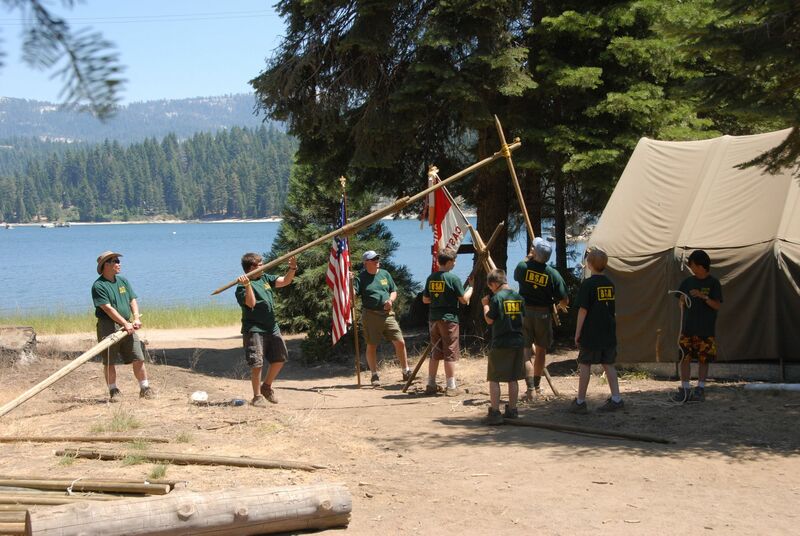 Camp Chawanakee has grown from a capacity of 100 Scouts and no facilities to today’s 4400 Scouts and Scouters with a complete group of permanent facilities. The new Lyles Lodge Dining Hall opened in 2017 and plans are underway for a new training center and first aid facility. 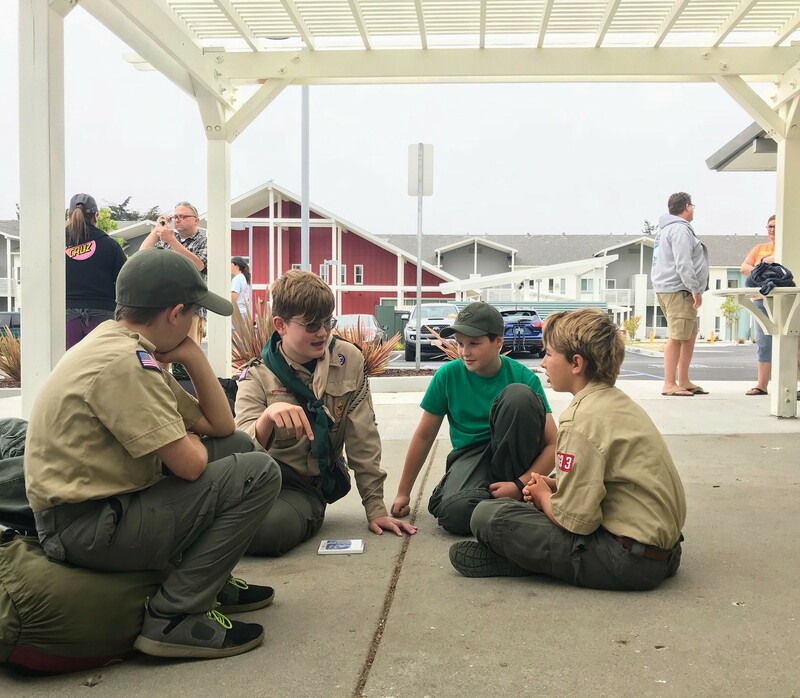 The camp operates nine one-week long sessions for the summer season from June to August, accommodating 500+ Scouts and Adults in 23 campsites at a time, while simultaneously offering a family camping area nearby.